UBER is back for a new round full of amazing creators. 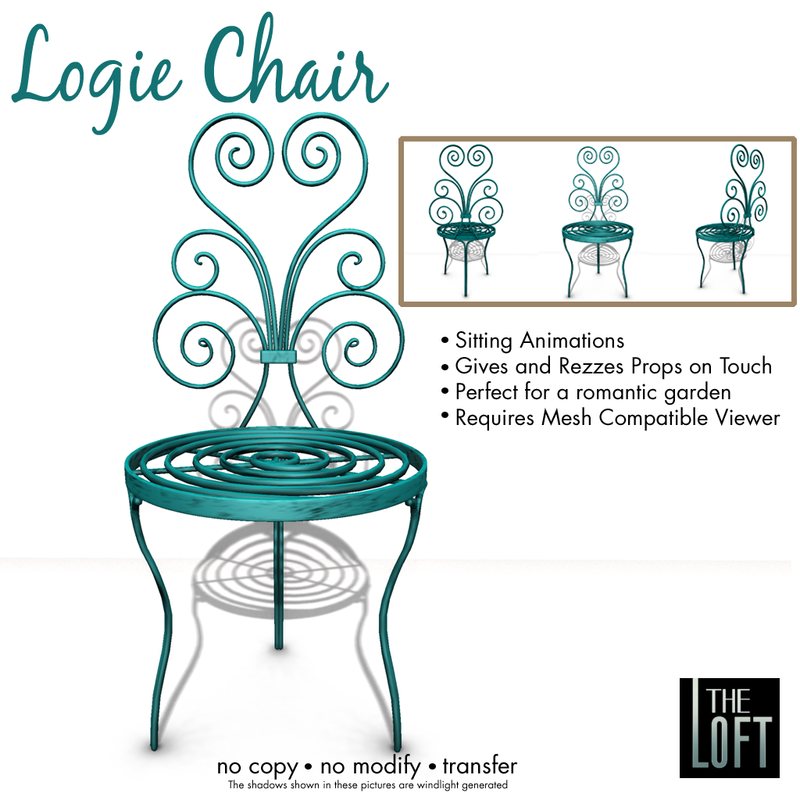 For this month The Loft and Aria have created the Rochester Fire pit set, perfect for a long night out on the patio. Autumn is just around the corner, bringing cooler weather along with it, and what is more perfect for this time of year than a warm fire and cozy seating for you and your friends. The Rochester love seat and chairs have a beautiful traditional style with plush neutral cushions available in 3 colours sold separately. Throw pillows have texture change options to add a splash of colour or keep it neutral. The main feature of this set has to be the fire pit, a contemporary style cement piece perfectly compliments any style. Also included is a concrete garden table, lanterns, and decorative mug. The lanterns turn on and off when clicked, and the mug has texture change options. 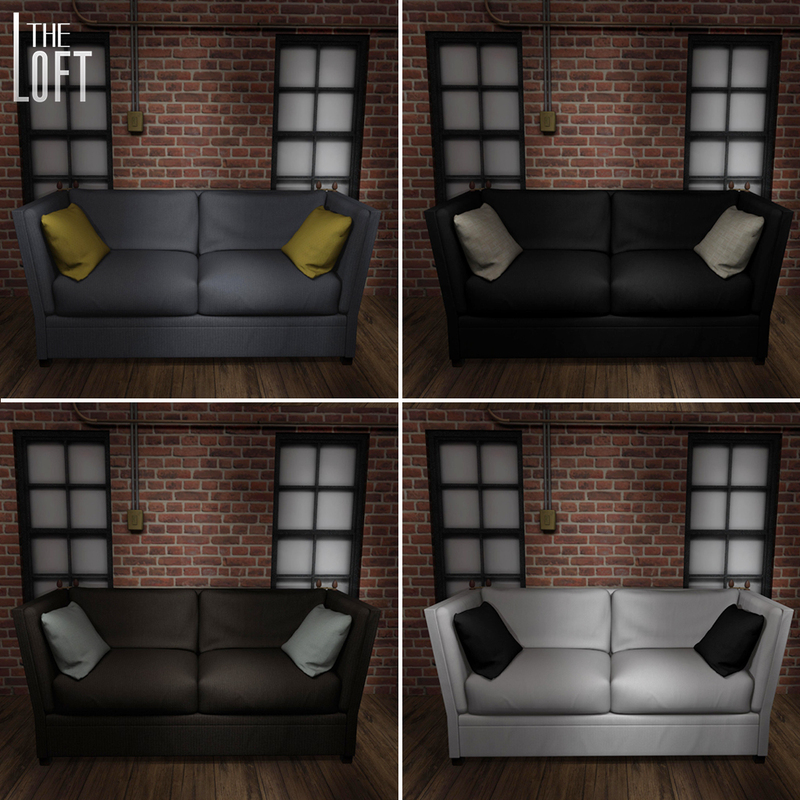 The Rochester love seat and chairs are both available in PG and adult options filled with single and couple poses, some include auto attaching and rezzing props. The Rochester Fire pit set totals 40LI as displayed, and is copy and modify. This set will be available at UBER closing Sept 22nd. ARIA and The Loft have come together once more for the April/May round of Uber! 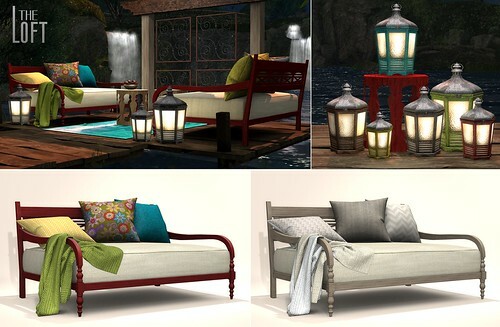 For this event we have created the Portico set, understated with some unique country style. The Portico set comes complete with bench, table, rug, and a beautifully detailed window decor piece as well as a throw pillow, breakfast tray, wall sconce and assorted potted plants. The portico bench is available in 6 different colours sold separately, each packed full of singles and couples poses many with attachable props. The window decor piece is available in 3 colours each sold separate. The Rug, throw pillow, breakfast tray and Aspidistra plant are texture changeable and the wall sconce turns on and off on touch. Check this set out at Uber. Pillows , Blanket and Rug are texture changeable . PG and Adult versions available, with props and sequences. 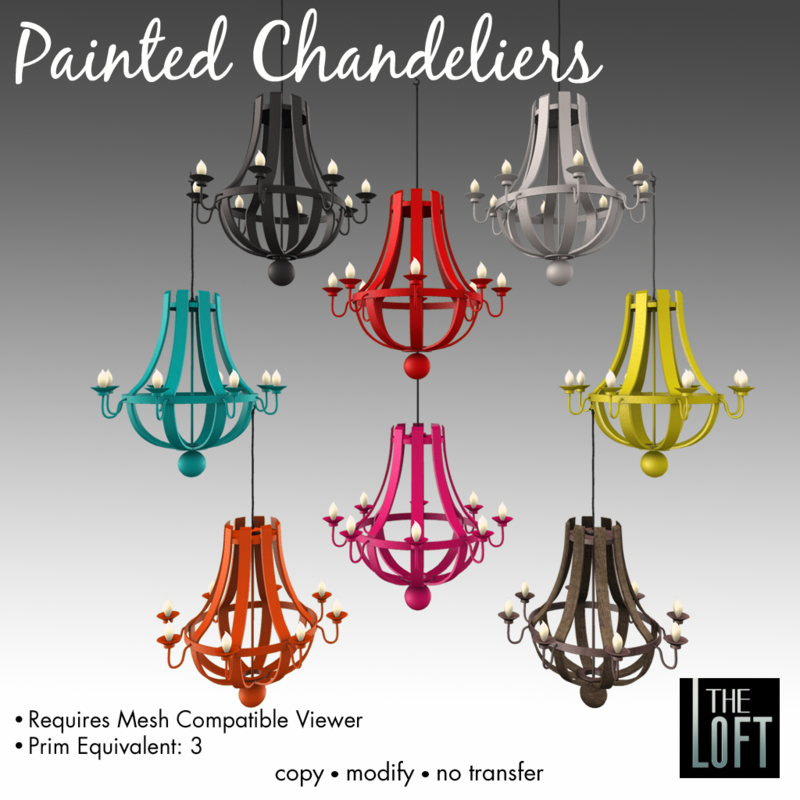 The Loft is participating in the 2nd year anniversary of The Men’s Dpt. Teleport to The Men’s Dpt. 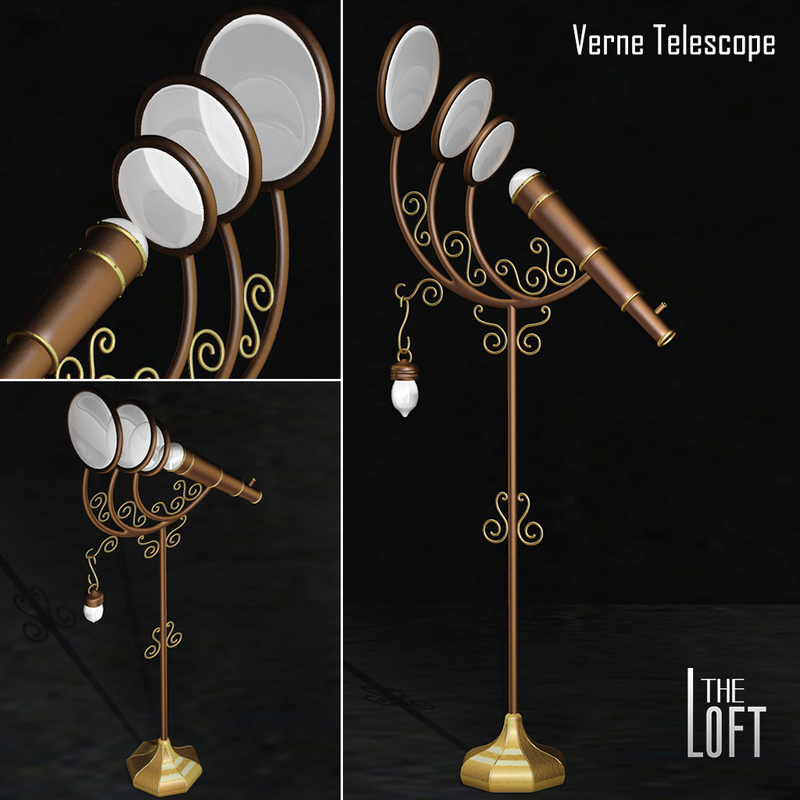 This month The Loft is also participating at the latest MadPea/Dwarfins Loft Mine hunt. This is the gift after the hunt has been completed. 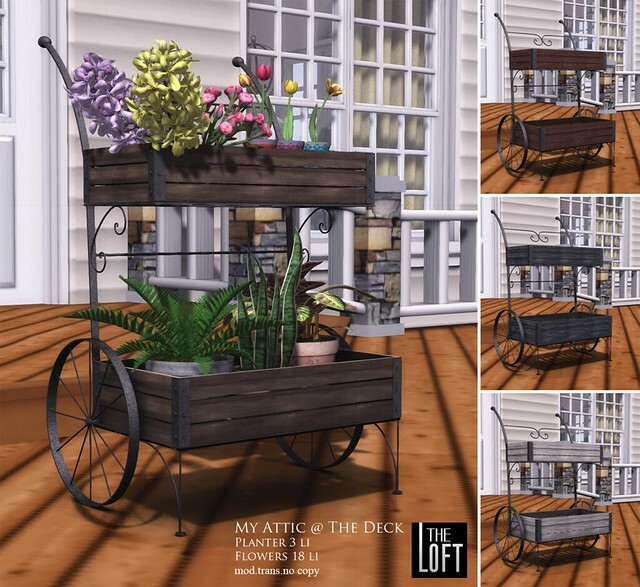 Pick up this planter and coordinating plants at The Attic @ The deck, all yours for 95L. 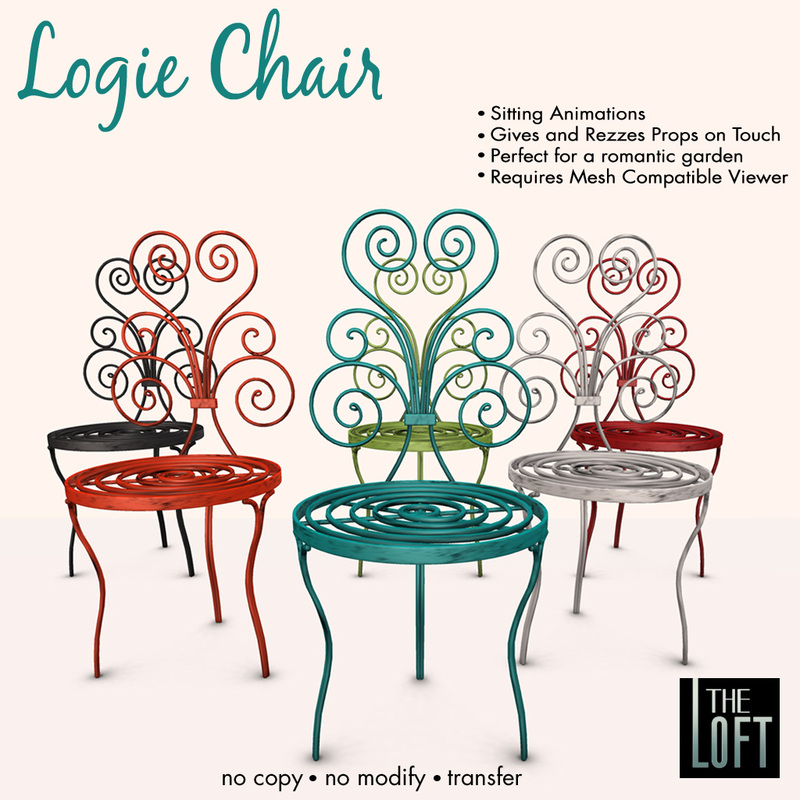 This chair is multi-purpose, equipped with animations and props to function in any room you may want to place it, dining room, living room, bedroom at your vanity table, kitchen, office the choice is yours. Animations are conveniently grouped together allowing you to quickly find the one you need. Chair gives or rezzes, eating utensils, Drinks, makeup, hairbrush, lipstick, nail polish, phone,laptop, pencil. 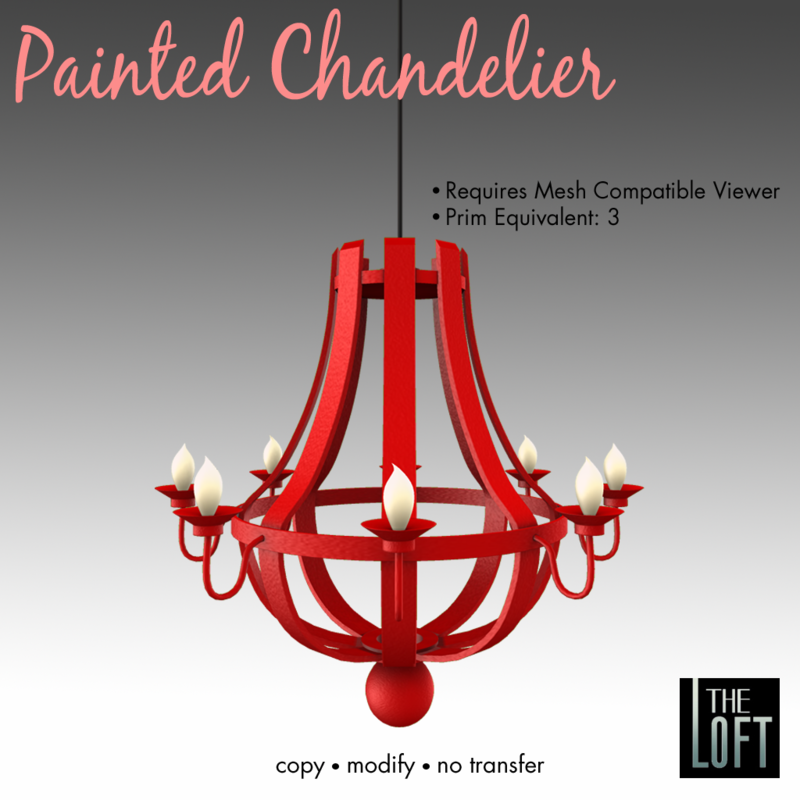 This eight-arm chandelier retains its rustic structure but is painted for a more contemporary effect. 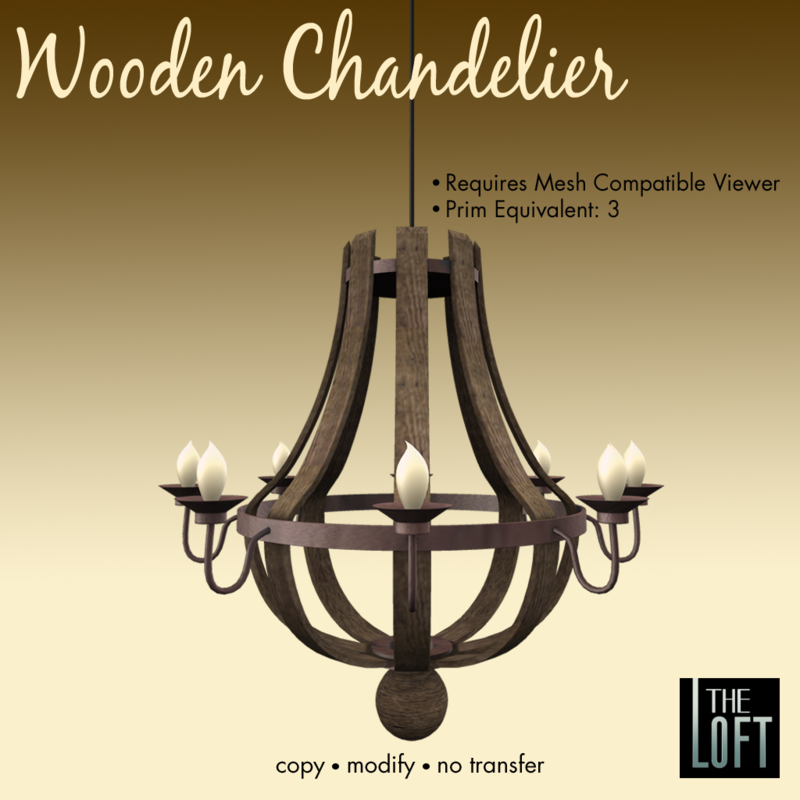 Aged wood, old metal, this chandelier is a rustic lover’s dream. Please contact Colleen Desmoulins to claim your prize. 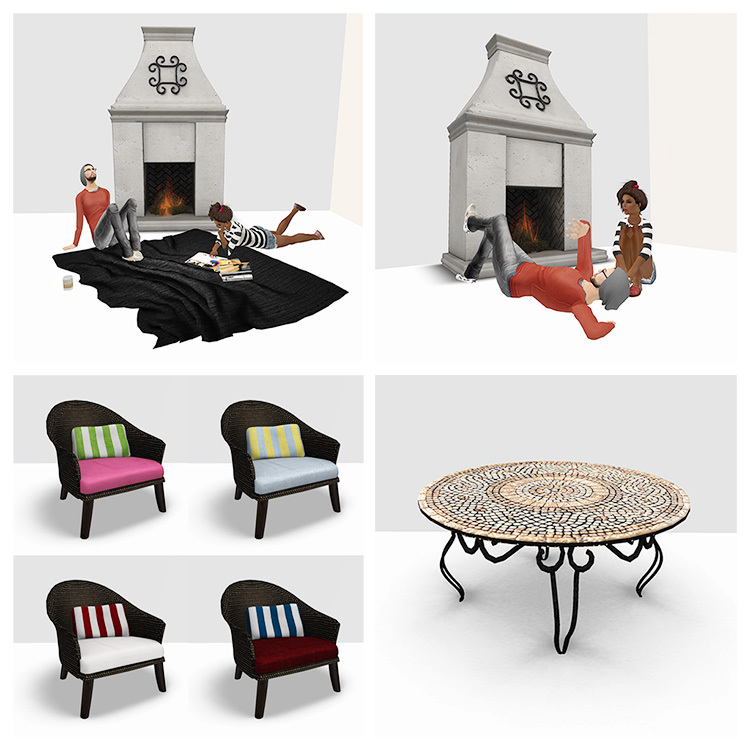 I redid this set for Home Expo but never got a chance to send a notice out. 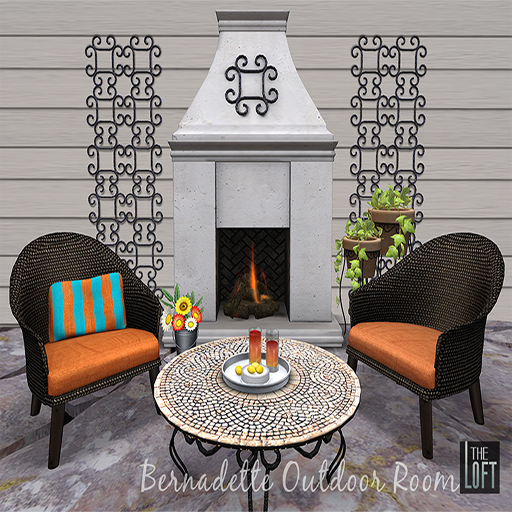 The Bernadette outdoor set now has 11 cushion colour options and 14 pillow colour options. 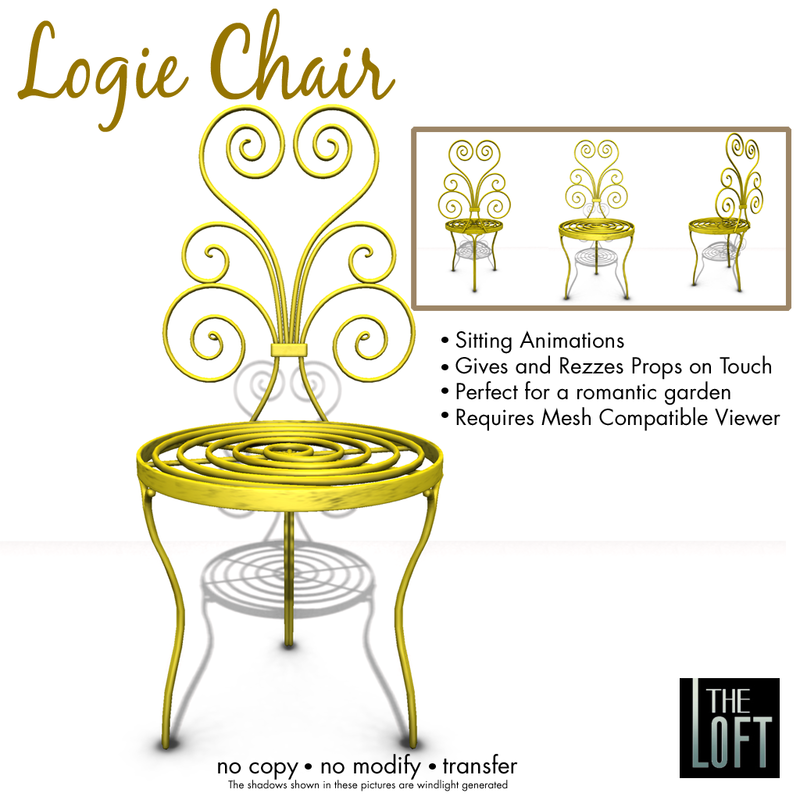 Chairs are multi-animated and the Fireplace is also equipped with couples and singles animations. Touch the wrought iron wall decor for texture change options. 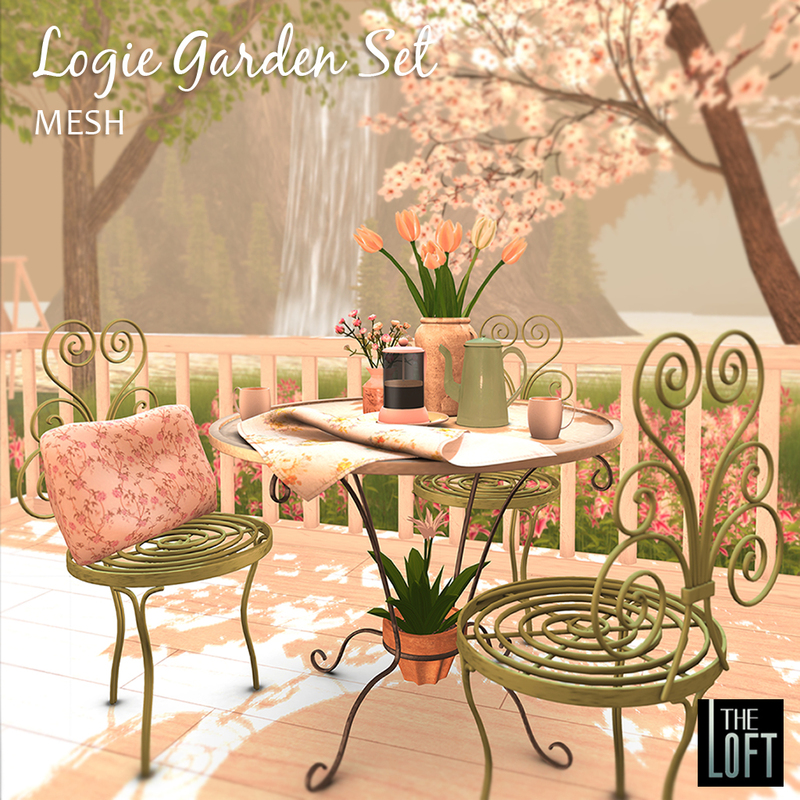 For Today Wednesday May 25th, Lofty Spaces Group members can pick this set up at 50% off the regular group member price. Winners Please send an IM to Colleen Desmoulins to claim your prize.